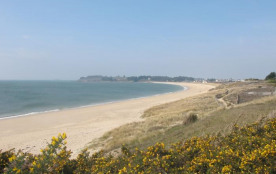 ARZON (56 - Morbihan) is a modern resort with a privileged micro-climate. Its port is to 1 km of the lease. The little house that we rent is 200 meters from a large sandy beach on the atlantic Ocean. The Gulf is 1km. There is also a storeroom where you could drop off your bike or stroller if necessary. You can enjoy the area by car or if you wish, you could forget it, all facilities could accessed by foot or bicycle. The bicycle and pedestrian paths are numerous and well separated from the roadway. The house can accommodate 5 people, there is a room with one bed 2 people, a mezzanine with a double bed and a small room with a bed of a person. A large terrace, equipped with a summer house, two deckchairs, garden furniture and a barbecue will allow you to enjoy the outdoor life. Lifestyle: For the food you have a store to 400m and you will find all kinds of shops on the harbor. In summer, there are markets every day. You will be able to practice various activities nearby, Horseback Riding. Fishing from the shore. Hiking. Golf. Sailing. Tennis. Bike paths. Cures. Kayaking. Restaurants. nightclub, casino. Port, departure to Belle-Isle, Houat, Hoedic, and the islands of the Gulf (the island to the monks, Arz etc ...). Valves, rich medieval and renaissance to 30 km. 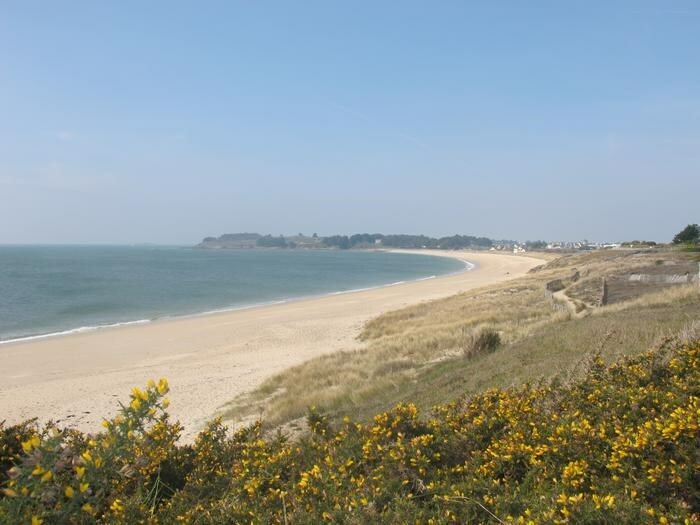 And you will enjoy to discover all the villages which give the charm of the peninsula Rhuys.